Discussion in 'PC Build Logs' started by Sgt Bilko, Nov 16, 2018. 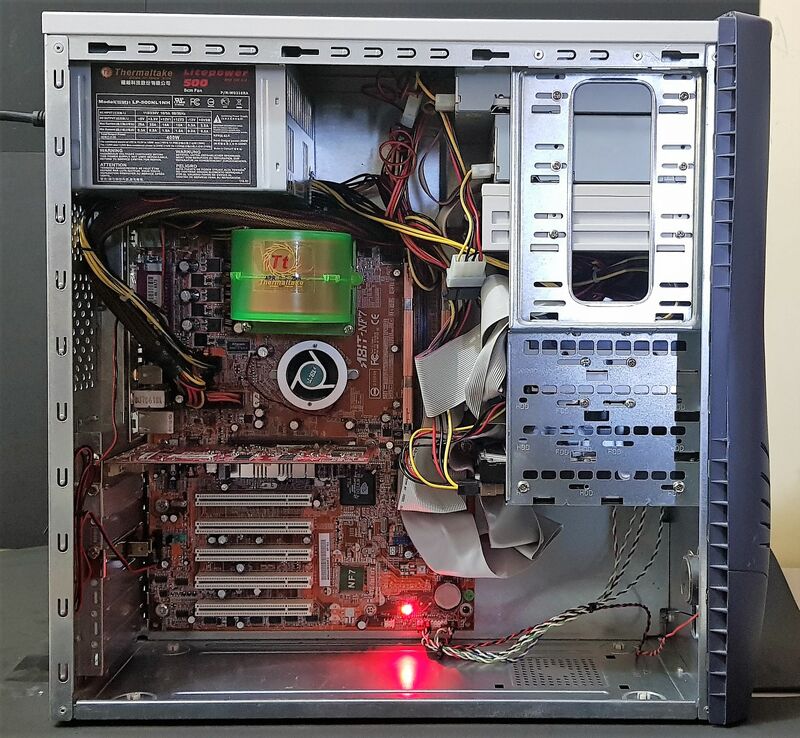 For this build is near and dear to my heart as I first entered the world of PCs with Athlon XP, in fact the 2600+ used in this build is the same one I've owned since new but let's go to the full parts list. PSU Installed and hooked up to the front drives! 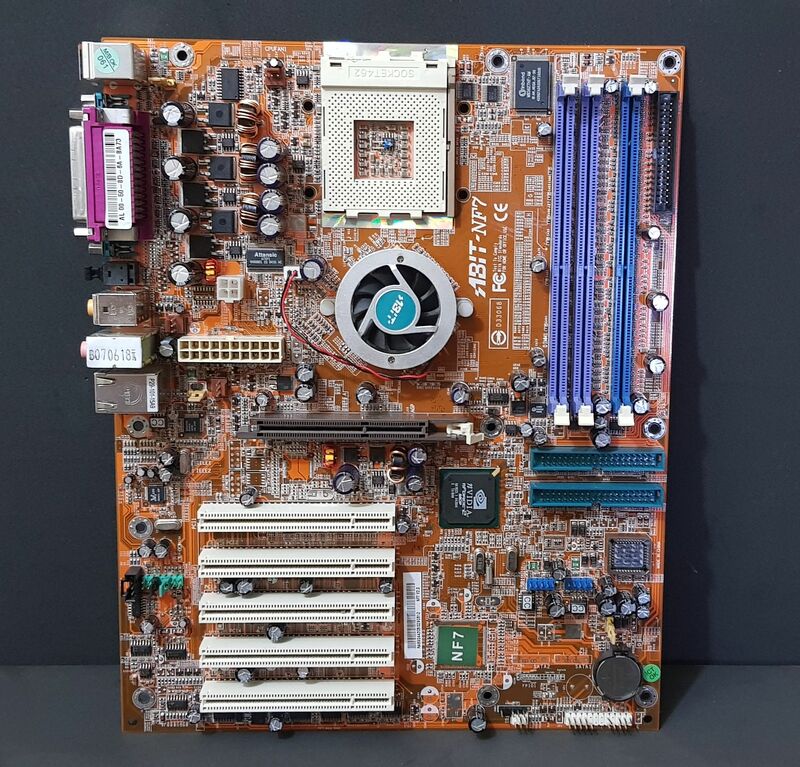 I'm pretty sure most people who Remember Athlon XP also remember this board, The Abit NF7 V2.0. Choosing a CPU cooler was interesting but I ended up going with the Thermaltake Volcano 11, sadly the original fan has since been lost but Ebay to the rescue! Amazingly the 2x512MB OCZ DDR 400 kit was also brand new and never used. Bottom half of the cooler is mounted, also want to throw in a side note here, when I got this cooler it didn't look so great, being copper the years were not kind and it had some oxidation but a quick bath in some vinegar and salt brought it back to to looking pretty again. Graphics card and top part of the CPU cooler installed and just running through some quick tests to make sure all is functioning well. And here it is in all its glory! juzz86, adz, FIREWIRE1394 and 4 others like this. You even got the RAM heatspreaders more-or-less matching the PCB colour. 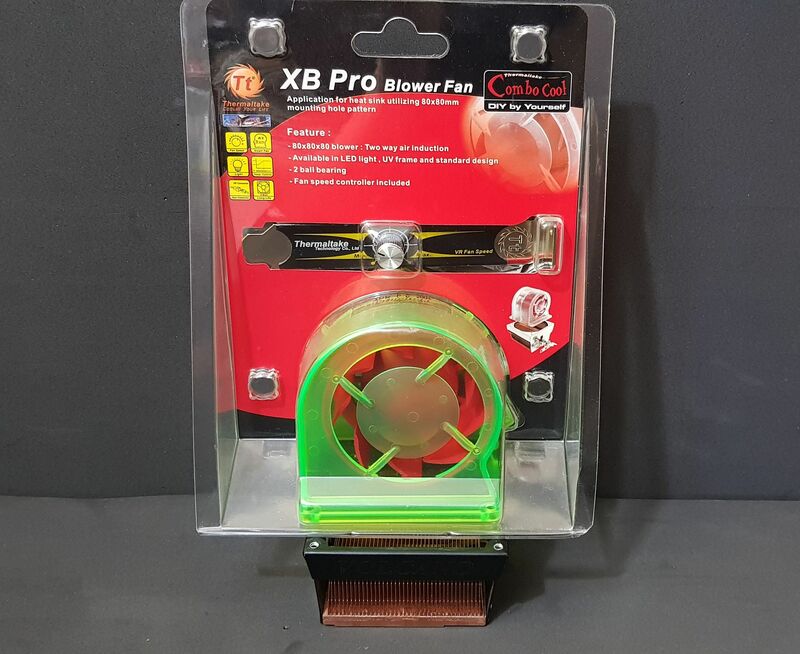 Just make sure that little chipset fan can keep up, I remember they were pretty nasty. 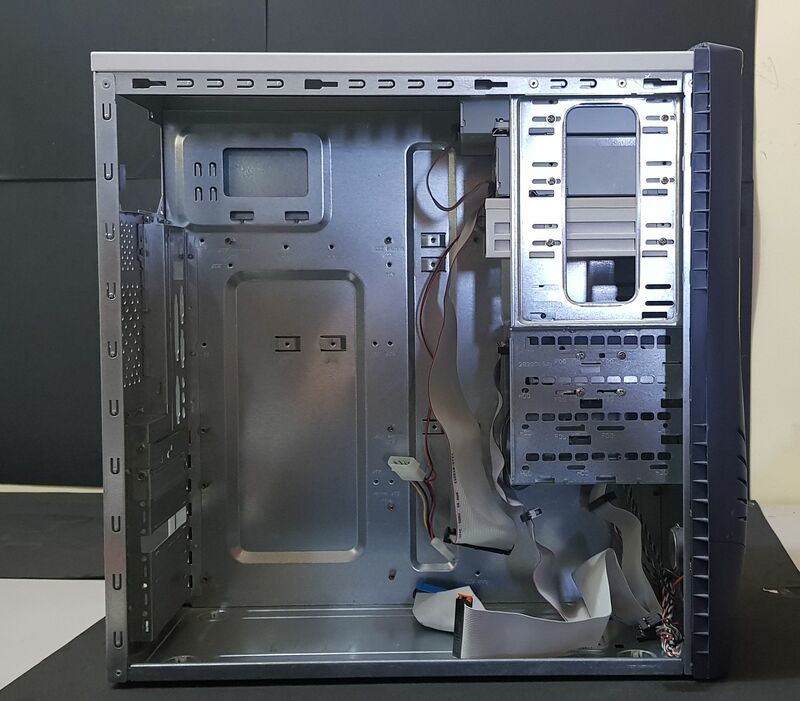 I may have some S754, 939, and AM2 parts available - send me a PM with what you're after. Might also have one of those nifty round PATA cables here somewhere, if you want to try for cable management. Chipset does stay rather cool after a repaste and some cleaning. Oh my goodness yes it is. Sorry can't help you coz I've long ago got rid of all my old round IDE and FDD cables, but if nobody here could help they can still be found on ebay. Are you going to a pencil modded Duron build next? Extra points if it's WC'd with a Camry heater core for the rad. Looking awesome, can’t wait to see more of these. Was that case in a sealed bag with an inert gas? It looks so new and shiny! Can't wait for the 939 build, that's where I started my life with AMD: an Athlon 64 on a Gigabyte GA-K8NF-9. (I think, I will have to pull them out to check). Amazing work I had the exact same build back in the day when I first got into PC's and gaming. Haha awesome, I'm actually doing one right now too! Tried to look on eBay for parts but they're very expensive. Fortunately it's where hording my old gear has come in handy. Mine is slightly a different style as I'm using overkill parts for everything. What O/S are you planning on using? I have a 939 System that I can use which is a lot more powerful but the Athon XP has all my fondest memories. 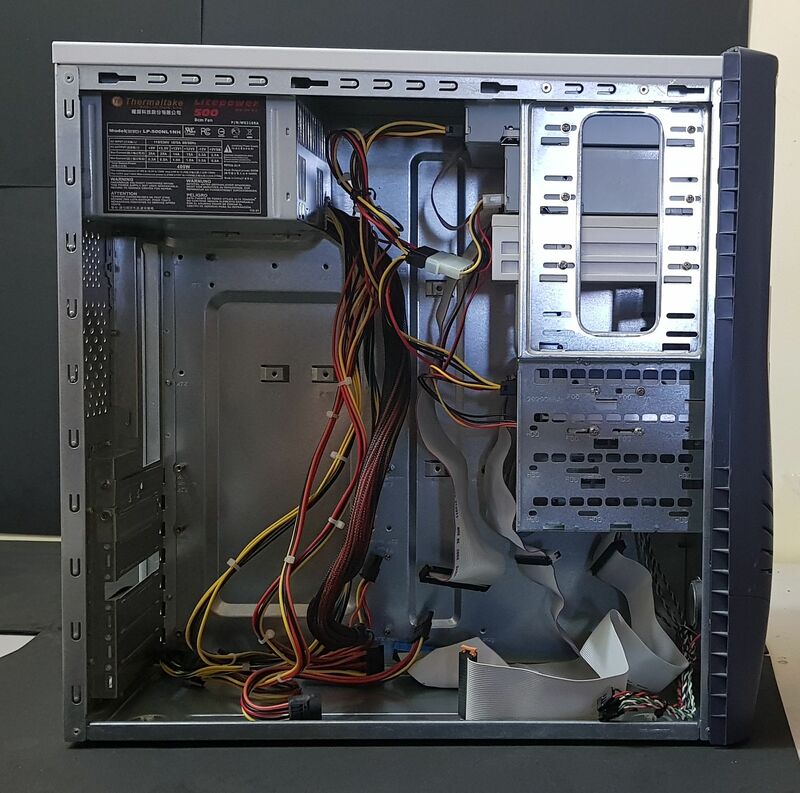 My first PC I bought and built was a Socket A system: Duron 700, some ASUS motherboard with crappy VIA chipset, I think two 128mb sticks of RAM, AGP 32mb Geforce2MX and a Deskstar 30gb HDD. Oh boy, I've still got my 939 guts lurking about in the shed. Funny story - I sold it after jumping ship to Core2 gear but many many years later saw a bargain Asus A8N32-SLI Deluxe on here that I just couldn't resist the nostalgic siren song of. OS for this one is XP 32 bit, Same as it will be for 939 and potentially 754 if that one happens, as I mentioned above finding cases and PSUs from the time period is the biggest challenge I think.